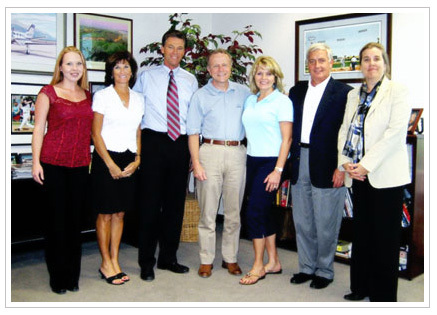 EAA President Tom Poberezny, along with his wife Sharon and EAA executives Katrina Bradshaw and John Gibson visited Aircraft Spruce & Specialty Co. headquarters in Corona, CA on November 8, 2006 to establish Aircraft Spruce as a Preferred Partner of EAA. As a Preferred Partner, Aircraft Spruce provides discounts on orders placed by EAA members using the new EAA credit card. Aircraft Spruce President Jim Irwin said: "Aircraft Spruce has partnered with EAA on many programs over the years including Young Eagles and the EAA Sportair Workshops, and we are pleased to have the opportunity to extend discounts on product purchases to EAA members through the Preferred Partner program. We look forward to continuing to work with EAA to help sport aviation grow through these excellent ". Charlie Becker from EAA's director of chapters presented President Jim Irwin with a commemorative plaque. 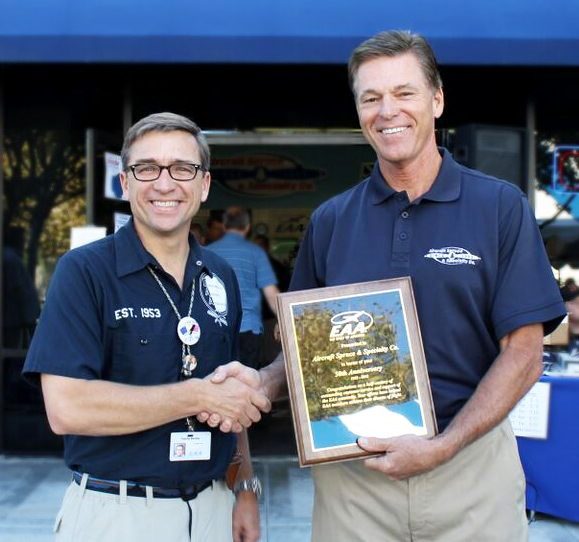 EAA's Charlie Becker, director of chapters and communities, presented Aircraft Spruce & Specialty President Jim Irwin with a commemorative plaque at the company's Customer Appreciation Day in Corona, California on Saturday, October 10, 2015. The plaque's text reads, "Congratulations on a half-century of outstanding customer service and support of the EAA community. Your efforts have helped EAA members achieve their dreams of flight." Aircraft Spruce & Specialty not only provides much-needed services to our members via their retail products, but also supports EAA's SportAir Workshops and webinars. "Fifty years is a big deal," Charlie said. 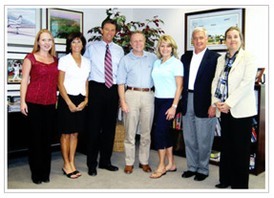 "It's great to see a business that's grown up with EAA flourishing as they move into their third generation."